‘The Flash’ Season 3 Episode 10 (S3E10) Spoilers: Who Will Betray Barry Next? 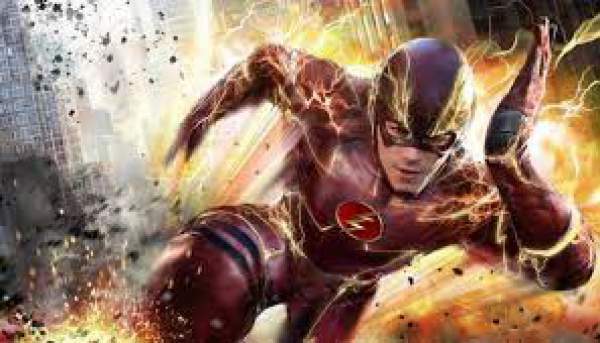 ‘The Flash’ one of the most popular TV series is about to complete half of the episodes in the third season. The last episode of ‘The Flash’ left us with many unanswered questions. What happened with Barry (Grant Gustin) after he got an expected answer from the speed God as Julian decided to convene Savitar’s voice. A little contrast also is seen where Julian appears to be like Dr. Alchemy but following a better set of deeds. The fate of Team Flash doesn’t seem to be in the proper direction from many past days. The team suffered severe cases of betrayal and deaths. Now in the upcoming episode of ‘The Flash,’ an entirely new wonder will be seen where new heart-wrenching things would happen definitely. As we saw in the other seasons, Director didn’t go harsh during the times of unanswerable riddles. It appears that the same is going to be much easier than the others. Barry is going to encounter some appalling fate than any other death in the episode. He will be betrayed by one of his loyalists and will also lose the person he loves the most. The table turns with the name of Cisco (Carlos Valdes), and he could be the traitor as well. After the death of his brother, we have seen how the things had changed around him. He is looking for a revenge and betrayal could be one of the finest forms of the attack in the entire world. Just assume for a moment and turn the tables, an evil Cisco is fighting honest Catlin. Not just that, there are some other circumstances which had governed the same. Most importantly, Savitar entered into Cisco’s head very quickly in the mid episodes of Season 3 of ‘The Flash.’ There is utter high certainty that Savitar will make the most out of the opportunity by making him hurt very badly. Coming to the other question that who is going to end up his life in ‘The Flash’ Season 3. Almost every fan of the web series watched how did Iris (Candice Patton) survive at the last moment despite various attempts of getting killed. Another important factor is actor’s willingness who wants to leave the show. It appears Iris wants to continue as of now because of that the role got extended unnecessarily. If you ask yourselves, the only answer would be “No Iris wouldn’t get out in the next episode.” It appears to be true, but the other nominee’s name could make you even sad. It’s Joe West (Jesse L. Martin). Joe may need to give up his life and powers to save his children. His role also didn’t have much importance, and it could be a skip. “The Flash” Season 3 Episode 10 will air Tuesday at 8 p.m. ET/PT on 24th of January. The promo/trailer will be updated here as it is released. Oh come on… 24th Jan?? ?Why so long?? THE FLASH z an unpredictable sci-fic. d traitor is caitlyn cuz she’ll be killer frost fully very soon like in d comics. Isn’t his name Barry not Berry?